Cheers to meeting new people and new experiences! For those who are not familiar with couchsurfing, it is a website/community of people who sign up to host people (couchsurfers) and be hosted while traveling. Some might be a little leery of the idea of staying with and meeting random strangers, but the site does include some verification as well as reviews from other couchsurfers. So, when people are searching for a place to stay in a city, they can read reviews about a potential host and decide if they want to contact them or not. We hosted prior to leaving the U.S. and plan to do some ‘surfing’ while we are traveling around the world. Prior to leaving for Japan, we went on couchsurfing to find a place to stay, but unfortunately it did not work based on our schedule. However, it did allow us to meet up with a local and a Kiwi for a Saturday night out in Kyoto! Kazu was born and raised in Kyoto and used to host couchsurfers, however, he no longer does because of his job requirements. Even though he doesn’t host, he still loves to meet new people, show them his city and answer questions. And that is one of the main reasons why we love couchsurfing! It is a great way to meet people, gain new perspectives and see different parts of cities we otherwise would not see. Basically, it can help get you off the regular touristy track of activities. We met Kazu and another couchsurfer from New Zealand (Eve) who also contacted him. Kazu wanted to show us some history and a good time, so we started at the Takase-gawa Nijo-en garden. The origin of the garden dates back to the early 1600s and the site is still functional today. There is a restaurant on the grounds, but the garden is open to the public to explore and roam. 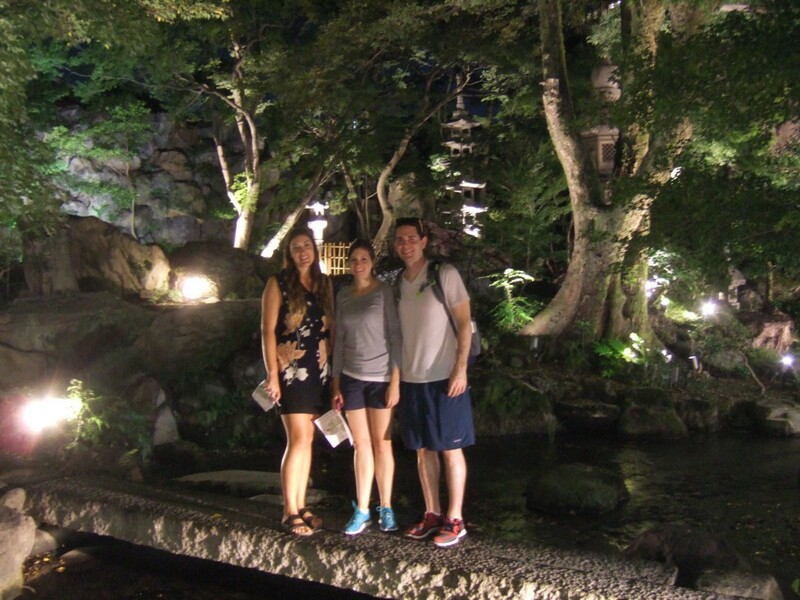 We never would have thought to come here without Kazu and one of the highlights of the evening was the four of us sitting inside the largest stone lantern in Japan simply talking. After we finished our sushi and sake, we headed to our bus stop to catch a ride back to our place. It was a quick evening, but we had a great few hours hanging out with Kazu and Eve and it was fantastic to meet some new friends. Should we come back to Kyoto, we will definitely be seeing Kazu again and I think we might just have to plan a trip to New Zealand! 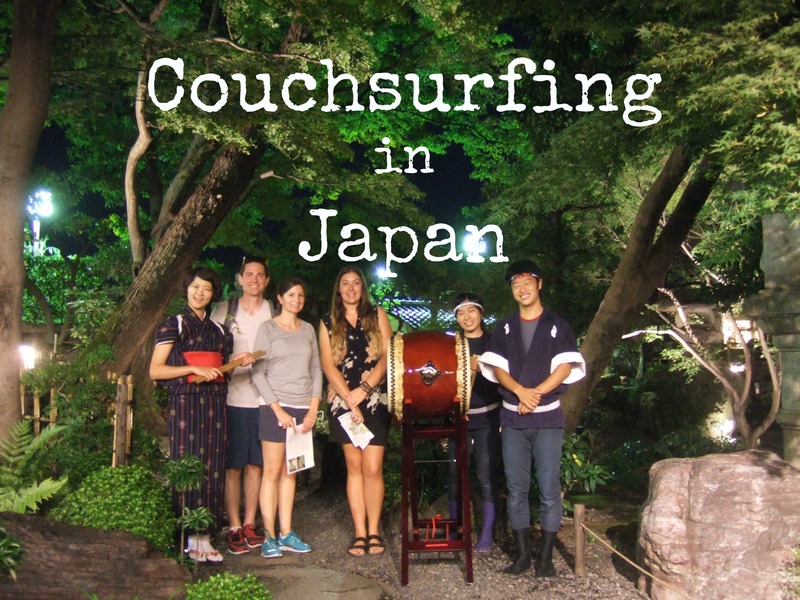 Do you have any fun couchsurfing stories? Any hosts you think we should contact in terms of our upcoming itinerary? Matt is one-half of Great Big Globe. He loves the Green Bay Packers, chips and salsa, a strong Americano and knows an incredible amount of useless sports trivia. Happy New Year and We Hit 100 Days on the Road! Hello! 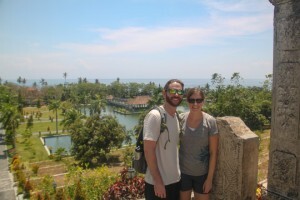 We’re Matt and Alana, two Americans with a passion for traveling and experiencing new places. We are former full-time world travelers transitioning back to a U.S. way of life. Follow along as we figure out how to make the most of our vacation time and get the best bang for our buck in America and abroad!